The ultra-luxury sector is generally defined as properties in the top 1 percent of a given real estate market. The golden rule of real estate, “location, location, location,” is still true at the top of the market: 79 percent of agents said that the single most important property feature is location for their clients. Cash is King - most deals are made with no bank or personal financing involved. Despite a growing number of international buyers entering the market today, 72 percent of the ultra-affluent are still local to the area in which they are buying. Of the 28 percent of international buyers, 39 percent come from Asia and 20 percent come from Western Europe. Real estate agents interviewed for the survey noted that 44 percent of their clients in the $10 million and up price range are entrepreneurs and 62 percent are between the ages of 45-54. For that reason, very few are single: 54 percent are married with children and 38 percent are married. In San Francisco, the typical ultra-affluent buyer is younger - between the ages of 30 and 45, given Silicon Valley’s presence and booming high-tech sector. Malin Giddings, a Previews Specialist and Top Producing agent in my office, estimates about 90 percent of her clients in the $10 million and over range work in the tech industry or investment banking sector. 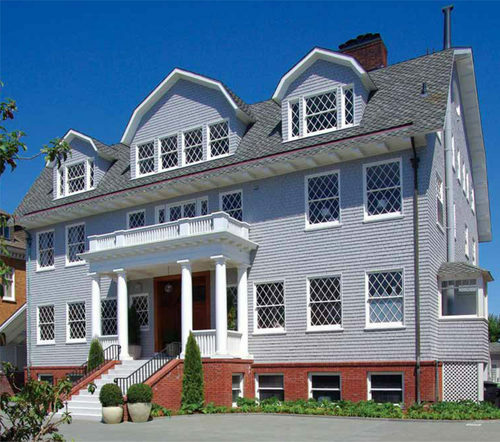 In the survey, Malin Giddings further noted that it is all about the views and location for these ultra-affluent Buyers in San Francisco – encouraging most to Pacific Heights and Presidio Heights. A new phenomenon was also observed among this profile of buyer: a very strong interest in mid-century architecture. Specifically, this group is not interested in traditional, ornate or Mediterranean style homes; rather, they want a clean, minimal palette with high ceilings, large glass windows for the views and big, open rooms. I hope this gives you a sense of the upper echelon and the stats surrounding their real estate activity. As an aside, you may be wondering how you find out about available homes at this price point. The majority of the $10 million plus homes are sold privately or off-market given the profiles of the individuals and their preference for a confidential sale. At TRI Coldwell Banker, we have insight into these off-market opportunities. For more info feel free to call me at 415.317.4546 or email dino@dinozuzic.com.